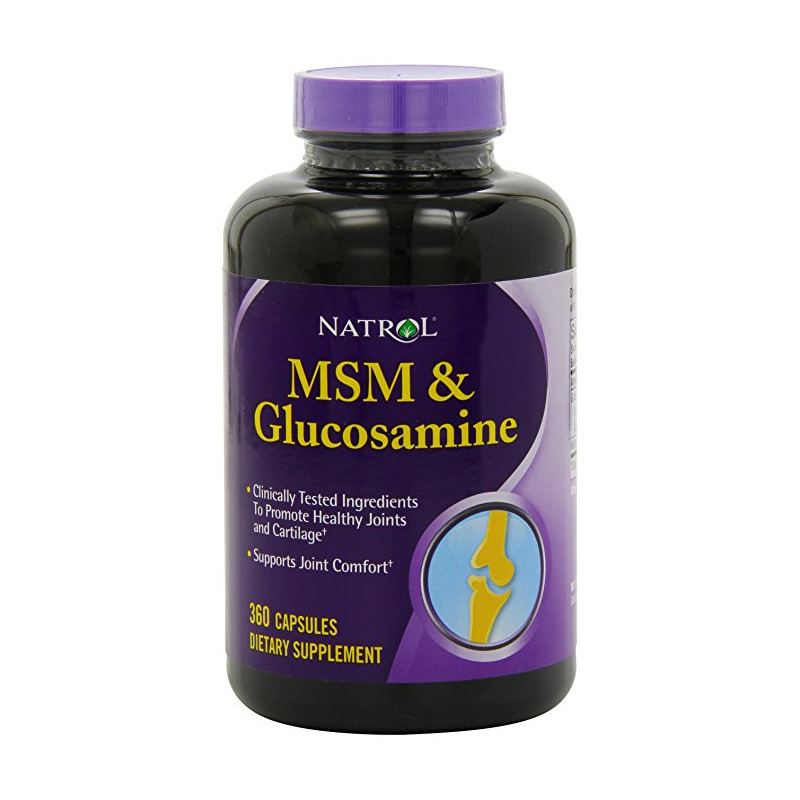 Promote joint health and comfort with MSM Glucosamine. MSM is a vital building block for joints and cartilage. 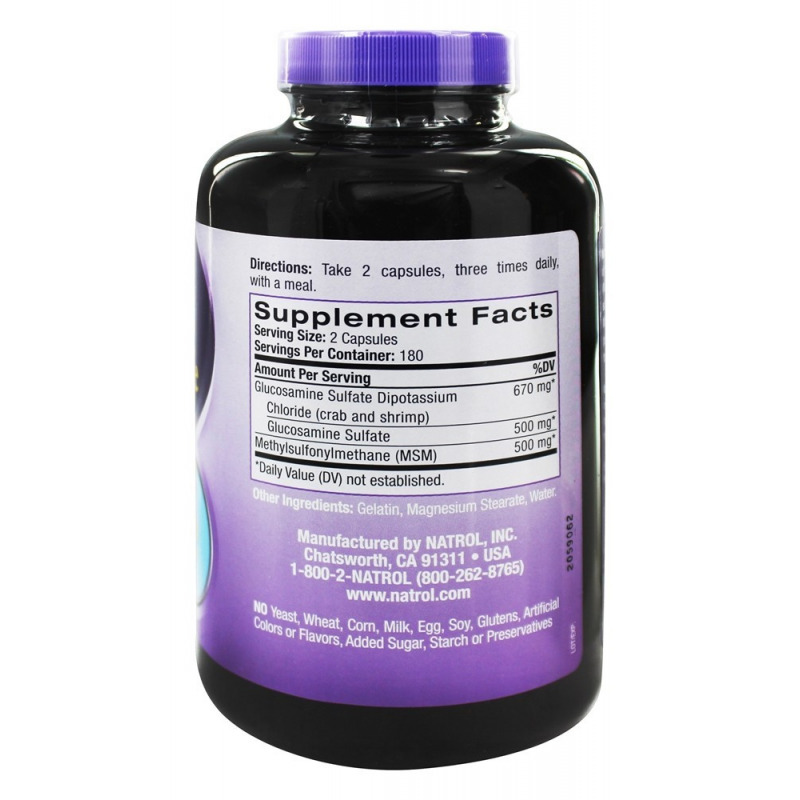 Glucosamine is a natural compound that works to help ease joint discomfort. 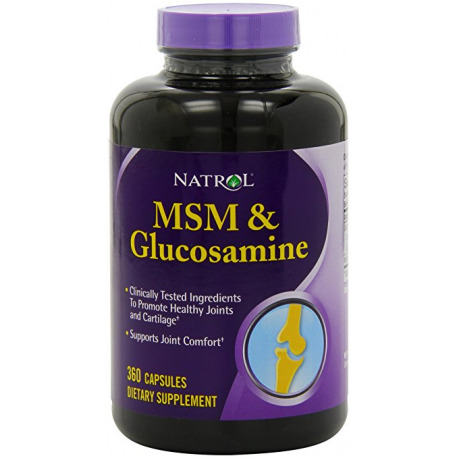 MSM Glucosamine brings these two compounds together to support healthy joints and connective tissue. Take 2 capsules, three times daily with a meal. Free Of Yeast, wheat, corn, milk, egg, soy, glutens, artificial colors, flavors, added sugar, starch and preservatives. *Daily value not established. Other Ingredients: Gelatin, magnesium stearate. Consult your healthcare professional prior to use if you have or suspect a medical condition, or are taking prescription drugs. Do not use if you are pregnant or lactating. People with allergies to shellfish should consult their healthcare professional before taking this product.